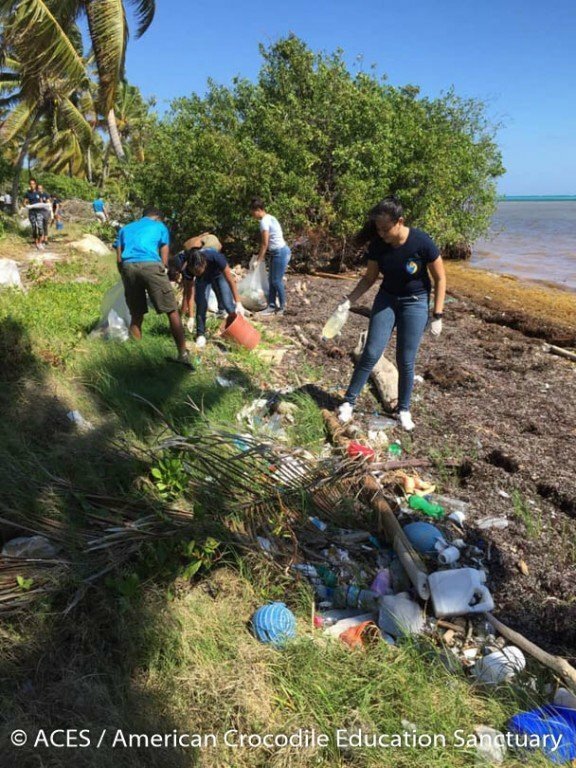 Over 40 volunteers, including 30 students from St. Catherine’s Academy (SCA) Wavemaker Club and St. Johns College (SJC) student council participated in a beach cleanup north of Ambergris Caye on Saturday, January 19th. 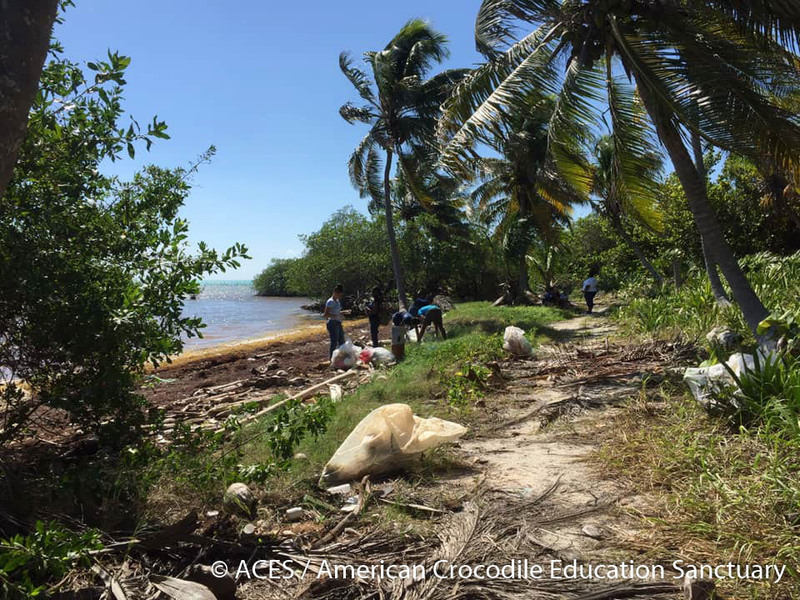 Organized by SCA’s Wavemaker Club, Oceana Belize, American Crocodile Education Sanctuary and Martin John Leslie, the clean-up began at 9AM. 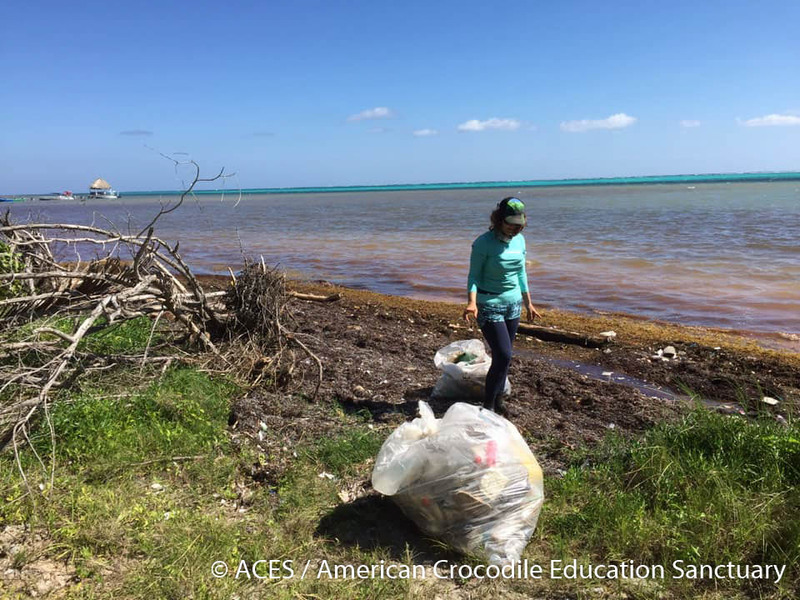 Among the piles of garbage collected were Styrofoam products, old clothes, tangled ropes, plastic bottles, iron, wood and many other items that are harmful to the environment. 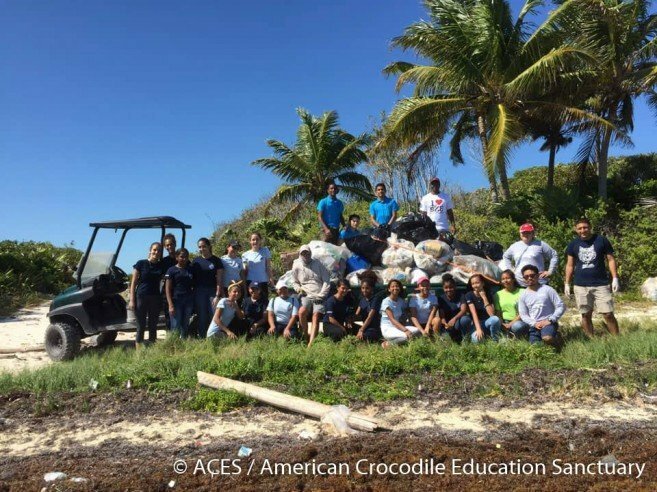 Via their social media account, ACES indicated that while it was a great turnout, they further encourage island residents to take a stand and start taking care of the environment. 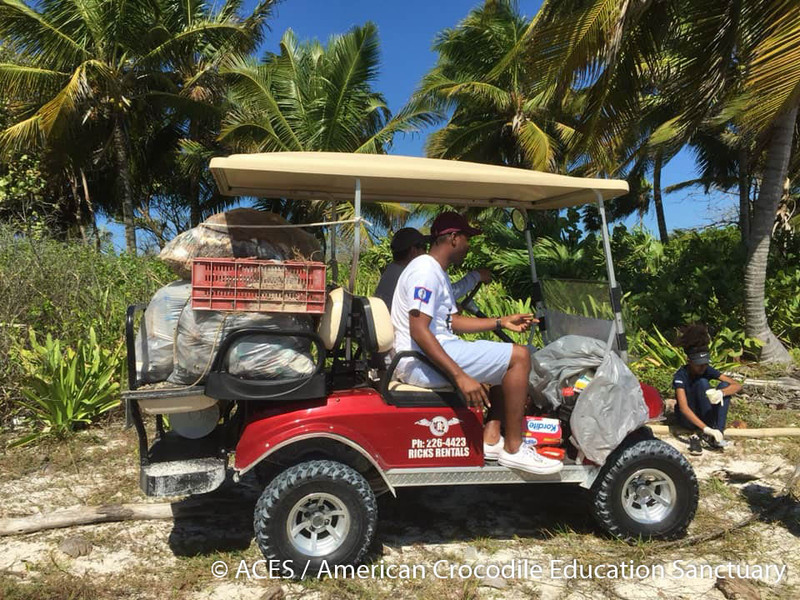 “We are at a very critical point here on Ambergris Caye. If we don’t start fighting hard to restore our ecosystem and adapt sustainable methods of development, we may not have an island worth visiting anymore. Let’s make the example these students set, be an example of the tremendous success we will have this year in the fight against pollution. San Pedro is a gem, a breathtaking island bordered by one of the most alive and rich barrier reefs, home to magnificent wildlife, some not seen on other any other caye, and a warm and culturally rich community that wins over the hearts of so many visitors. Let’s prepare for our future generations who will continue the legacy of La Isla Bonita by laying down the framework of an eco-conscious community. Together we can make a difference,” stated ACES. One member of SCA’s wavemaker club was shocked at their findings. 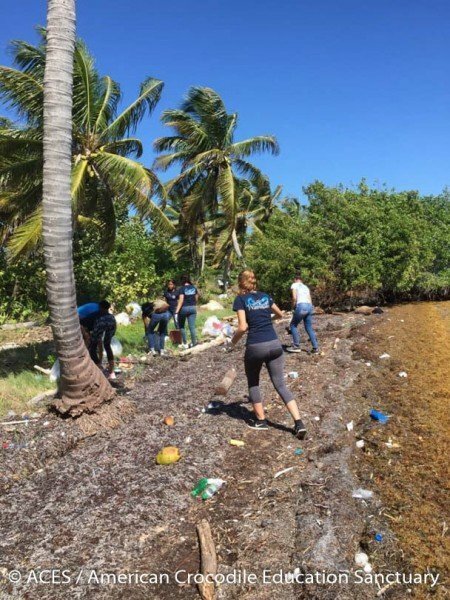 “Of all the places the wavemaker has cleaned, this beach is by far the most polluted location we’ve seen.” By participating in the clean-up, students of SCA and SJC completed community service hours required by their educational institution. A big THANK YOU goes out to all the volunteers that came out and made the clean-up a success! Special thanks goes out to sponsors, including Chuck and Robbie's, Belize Coastal Alliance, Belize Tourism Industry Association San Pedro Chapter, Ramon’s Village Divers, Hol Chan Marine Reserve, Casa Pan Dulce Bakery, San Pedro Town Council and the San Pedro Tour Guide Association. 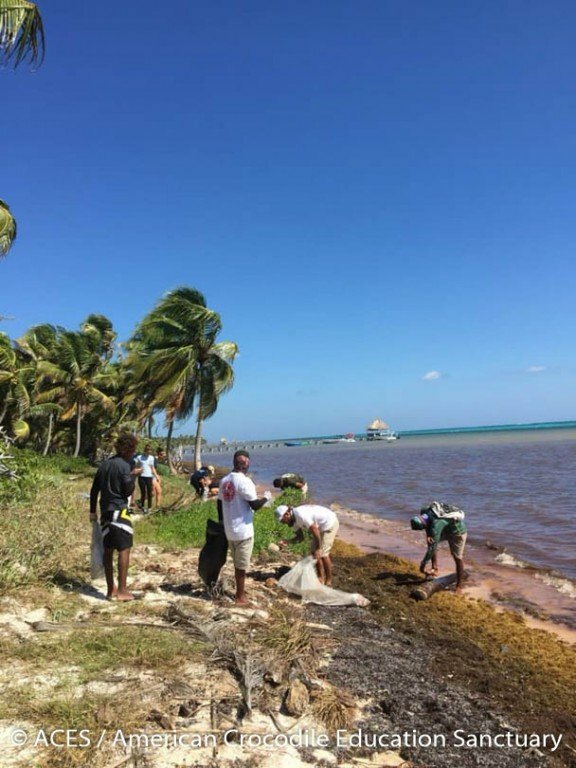 The community at large is encouraged to join in the efforts to keep La Isla Bonita Clean by participating in the many cleanups that take place around the island. Join the weekly Saturday cleanup with The Phoenix at 8AM, or look for planned cleanups throughout the month.